There's a lot to like about Asian design, so it makes sense that home interiors across the globe often look to oriental cultures for inspiration and influence. As with any specific style, Asian design can be achieved with a handful of key elements. For the greatest impact, these elements should be implemented in the construction and finishing of the space, rather than just decor. Here are 4 ways to achieve Asian-influenced design in your project. 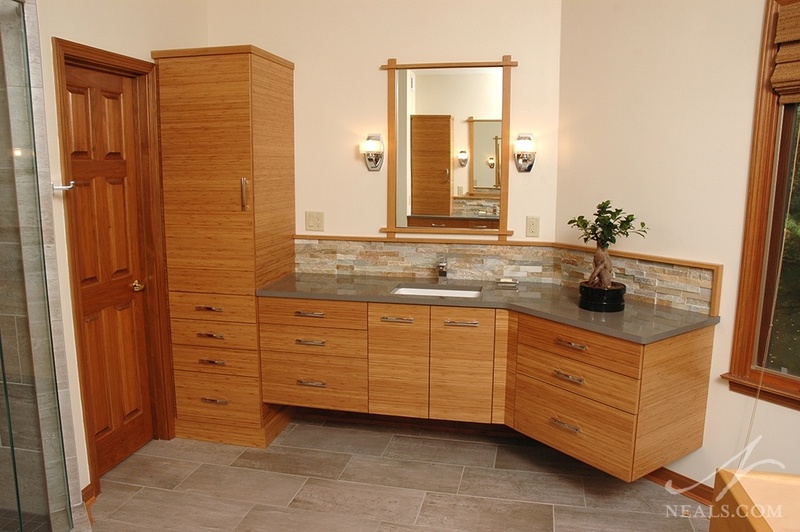 A neutral mix of warm woods, pale bamboo, and light cream walls helps to convey the Japanese influences in this Sycamore Township master bathroom. While some Asian cultures use bold and rich color in their designs, the foundation of an Asian space begins as a neutral palette. This doesn't necessarily mean white. Creams, grays and tans can provide a soothing and warm backdrop that is perfectly suited to the crispness that typifies Asian design. Bamboo veneer cabinetry, natural slate on the backsplash, polished nickel hardware, and ceramic tile flooring combined in this master bath create a balanced, natural space. Asian cultures rely on a balance of natural elements in home design to create a space that is as much a shelter as it is an extension of the earth. 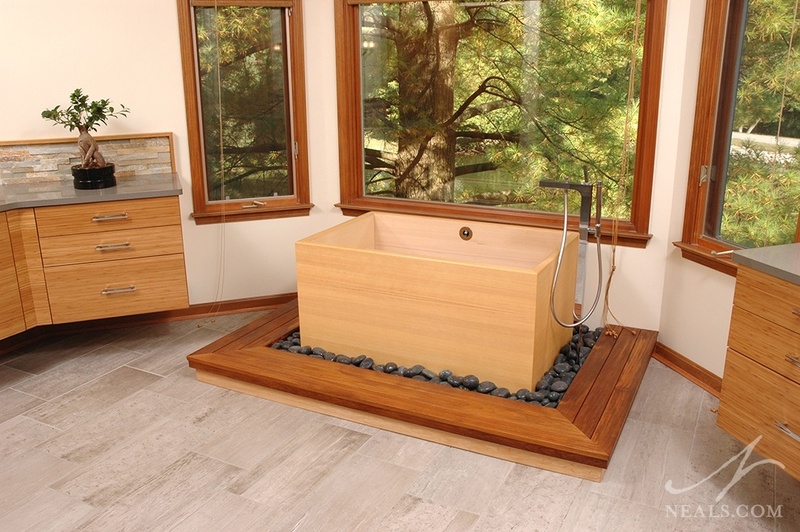 Feng-Shui and similar practices dictate the use of natural materials in line with the elements of life, and help homeowners understand where and how often each element should be used in any given space. While western interiors don't tend to go that far in recreating Asian design, the inclusion of natural materials is a must if the design is going to be effective. Touches of black in this Asian-inspired Montgomery kitchen, including black counters and trim, add contrast to all the neutral browns. Black items in the decor carry the theme even further. With all the neutral and natural elements in an Asian-influenced space, contrast becomes key. The introduction of black is a common technique. 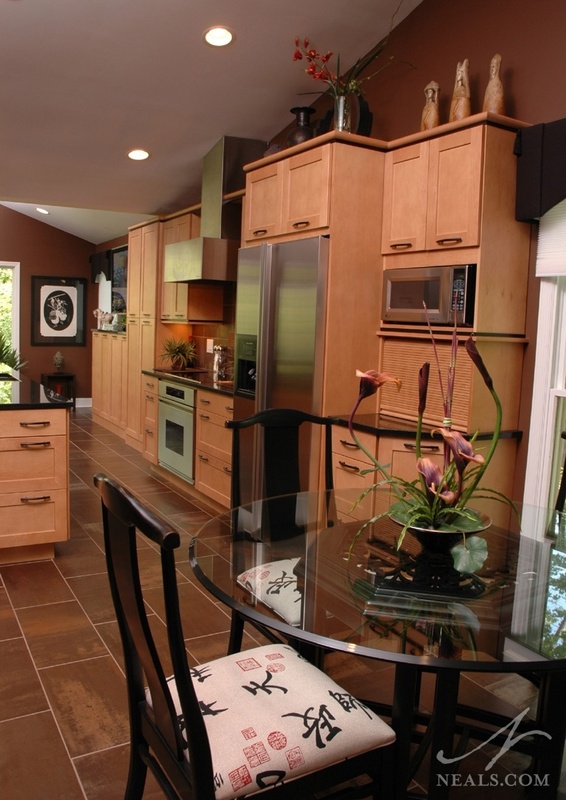 During the selection phase of design, look for ways to integrate black in the materials, such as black trim or counters. When decorating, look for black lacquered pieces or glossy black furniture. Black electronics, like a flat screen TV, can also be a part of the contrast scheme. The rich colors of this tile backsplash are reminiscent of hand-made Asian pottery which celebrates a distinctively imperfect look. Asia has a rich and long history that has seen remarkably little change compared to the more rapidly evolving cultures of the West. Artifacts, antiques, collectibles, and art- especially those with an artisanal quality- are perfectly at home in a traditional Asian-inspired space. 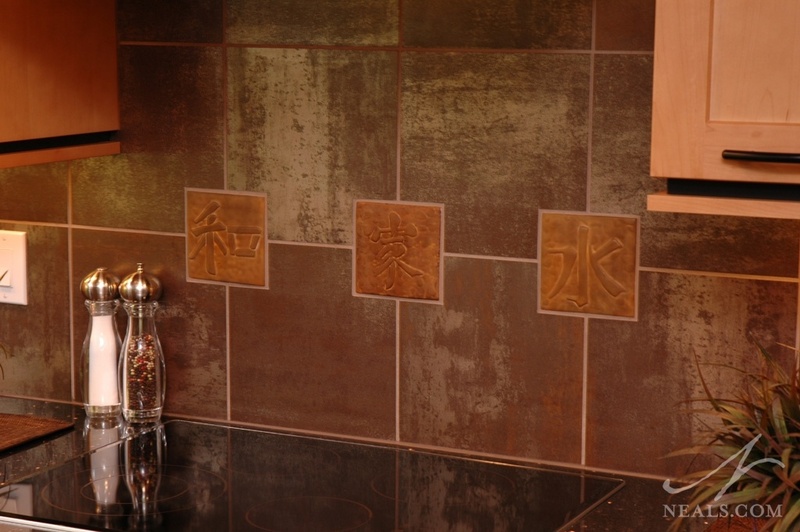 Ceramic tiles with hand-glazing or with a rich texture are one option for getting this type of detail into the space.